I’m Ed Smith, a Sacramento Personal Injury Lawyer. Riding a motorcycle comes with inherent risks. Safety precautions should always be taken before riding. People are encouraged to wear a helmet to protect against suffering injuries to the skull and brain. 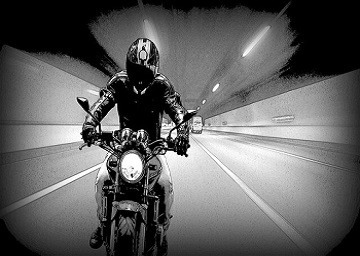 A separate license is often required to ride a motorcycle because of the significant difference between the protection you have on it as compared to a car. Long clothing is also encouraged because it can protect the skin from being degloved. For those who do not know, a degloving injury occurs when a hard surface forcibly removes and disconnects the skin from the soft tissue underneath. This type of injury can lead to severe complications, one of which is blood loss. When someone is involved in a motorcycle accident and sustains a degloving injury, the skin is not the only part of the body that is damaged. The surface area is attached to the soft tissue underneath. During an accident, the soft tissue can be removed from the body along with the skin. Buried in the soft tissue are blood vessels. When these blood vessels are peeled away from the soft tissue, they can tear. This leads to bleeding which can become a medical emergency. If an artery is damaged, the pressure within these vessels could cause someone to bleed to death quickly. To avoid this from occurring medical intervention must take place immediately. At the scene of the accident, immediate pressure should be applied to the injury site. This will help to counteract the pressure coming from inside of the vessels, slowing the bleeding. Once the injured person has been transported to a hospital, intravenous fluids and blood transfusions will help to replace the lost volume. This will help to keep the blood pressure up, maintaining organ perfusion. Then, the individual will be taken to the operating room. Surgeons will carefully repair the damaged blood vessels and preserve whatever tissue is still alive. This will stabilize the injured person and set them up for more rehabilitation. Through this rehab, the function of the damaged body part could be restored. For the average person, this can be overwhelming. They may not know what to do next. For this reason, it is always prudent to discuss your case with an experienced personal injury lawyer in Sacramento. A lawyer would serve as a valuable guide, leading a family through the process of filing a claim for compensation for damages if the injury was due to someone’s negligence. I’m Ed Smith, a Sacramento Personal Injury Lawyer. Individuals with degloving injuries from an accident with a negligent driver may reach me at (916) 921-6400. I will be happy to share friendly and free legal advice. Families who need help can also speak with me free of charge by dialing (800) 404-5400. I am honored to be a part of the forum of the Million Dollar Advocates. Injury attorneys appearing in this forum have earned verdicts over 1 Million USD for a past client. Everyone should feel free to read through our verdicts or settlements here. Please stop by Yelp, Avvo, and Google to look at reviews from our former clients.